Again, like my cucumber greyhound cocktail, it has no added sugar, so if you like sweeter drinks add some simple syrup or a bit of sugar or a bit more orange. 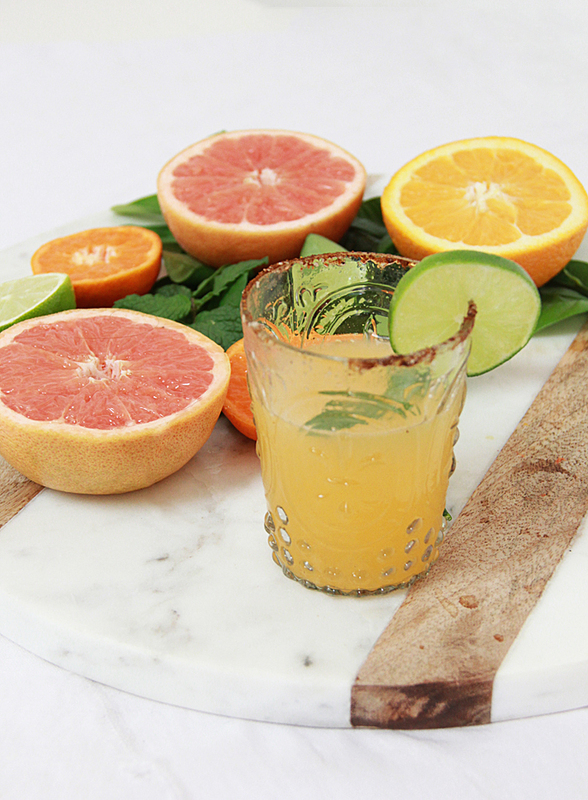 This tequila citrus cocktail is a healthier alternative to a margarita, but I also hate normal margaritas (GASP!) all that sugar gives me a headache, the tequila, of course, is not the culprit of the headache. 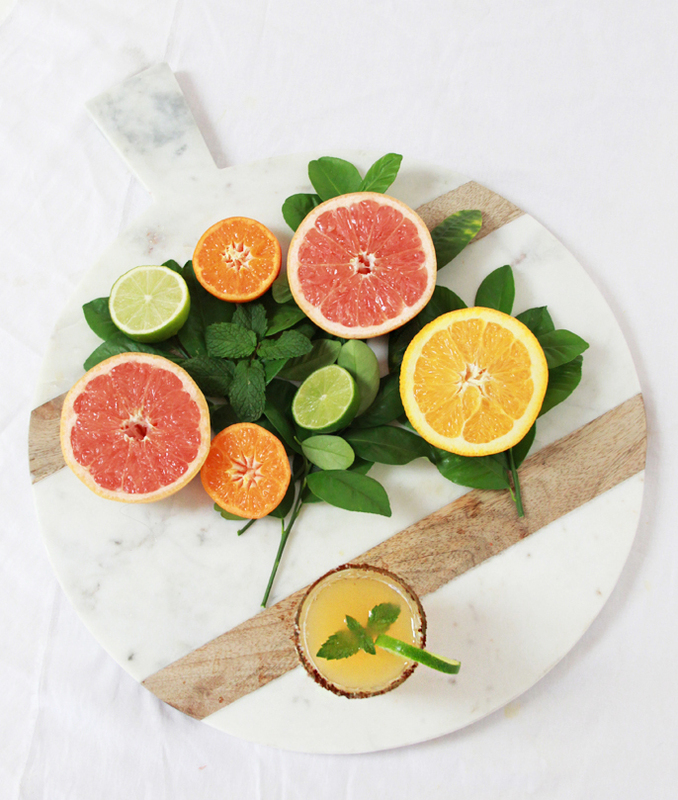 Juice your citrus! 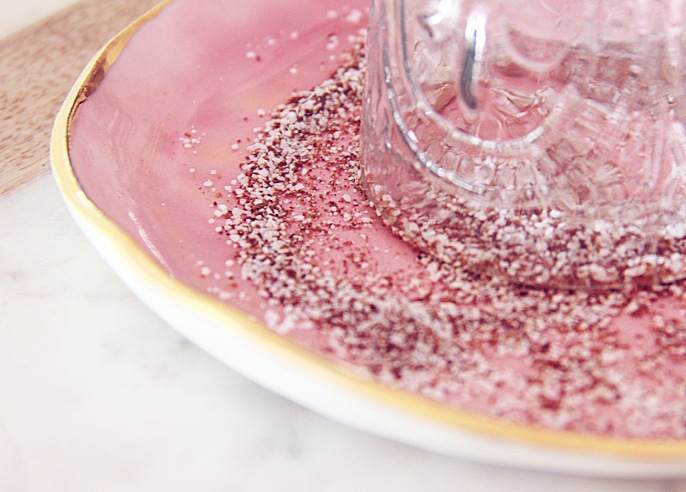 Pour the juice, tequila and some ice into your glitter cocktail shaker and shake! Slice a lime and cut a small slit into lime, drag lime around the rim of glass so you are able to stick on the chili powder and lime on the rim! 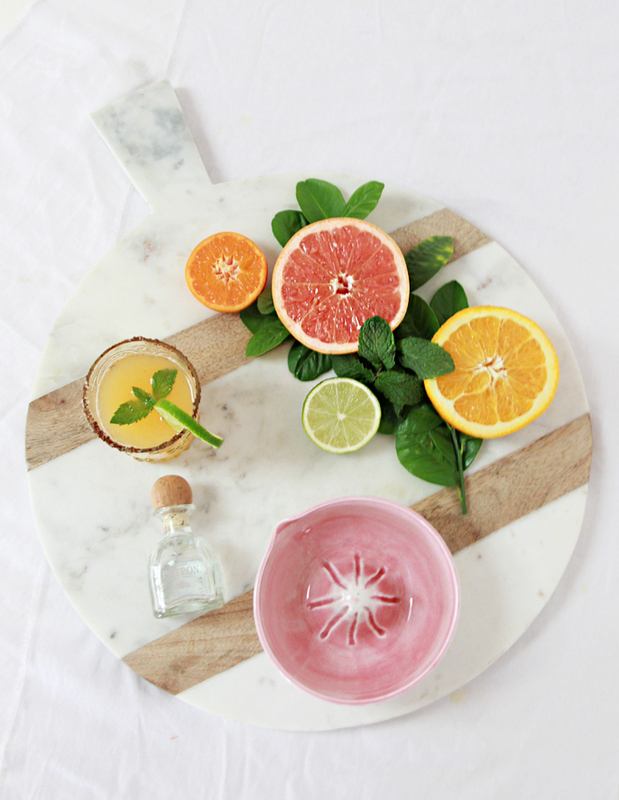 Whether you are celebrating Cinco de Mayo, Mother’s Day or just any day- CHEERS!! Cheers! 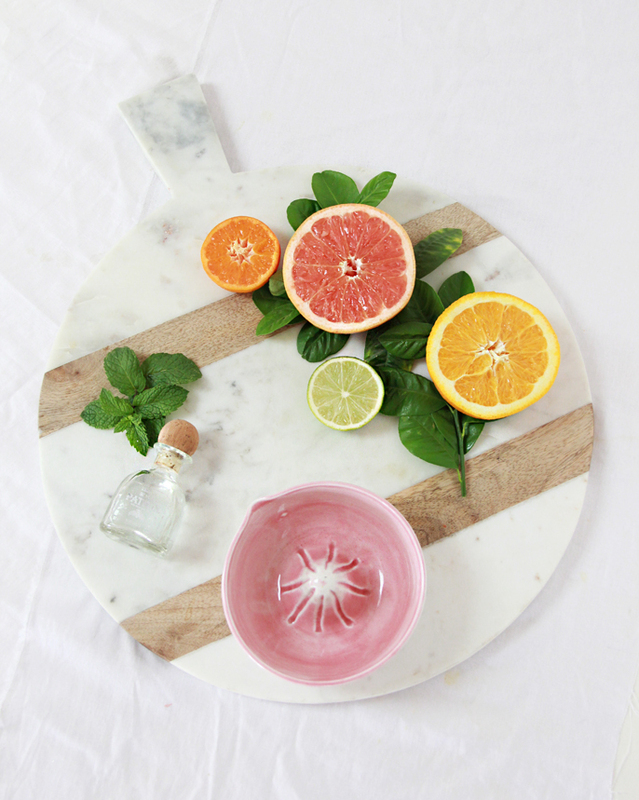 If you need some more cocktails in your life, check out my Berry Vodka Mojito & Coconut Lime Cherry Vodka & White Wine Spa Inspired Sangria!